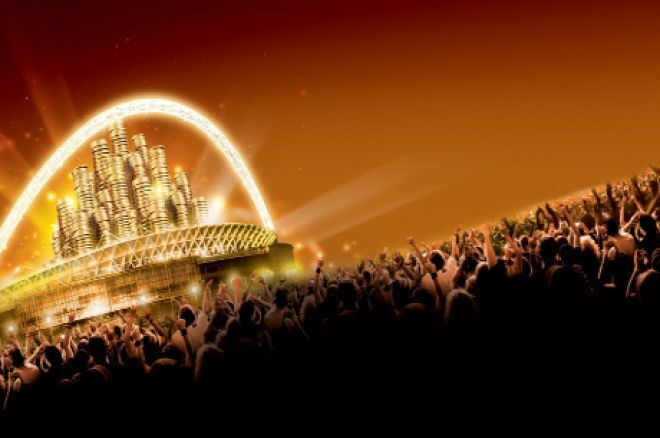 Dusk Till Dawn to Guarantee €1 Million to the Winner of ISPT Wembley! Dusk Till Dawn (DTD) has agreed a deal to licence, market and guarantee International Stadiums Poker Tour (ISPT) Wembley tournament. Under the terms of the deal, the current “European Poker Staff Person of the Year,” Simon Trumper will become the ISPT Tournament Director and will be aided by the DTD’s floor staff. But the biggest talking point will be the fact DTD are guaranteeing that the eventual ISPT Wembley champion will walk away with at least €1,000,000! This massive first place prize will be awarded regardless of the number of entrants. DTD will take a maximum of 20% from the prize pool for first place and will leave the remaining 80% to be distributed among those who reach the money places. This means the prize pool will have to reach at least €5,000,000 in order to avoid any overlay and this equates to 1,600 Day One online players (€270+€30) plus 250 Day Two direct buy-ins (€2,700+€300). UK & Ireland PokerNews learned of these plans in January but were sworn to secrecy until the deal became official. When DTD owner, Rob Yong, asked me about the DTD’s ambitious plans for the ISPT, I replied that if anyone could pull this off then it was the DTD club. The ISPT has lost a lot of credibility over the past few months, with them first reneging on guaranteed prize pool, being part of the Partouche group which has been at the forefront of negative publicity in recent times and moving the goalposts – pardon the pun – regarding the logistics of the tournament. Personally, I believe DTD’s involvement adds heaps of credibility to the event because there is no doubt that 100% of the €1,000,000 guaranteed first place prize will be paid out, and paid out promptly. Interesting times are ahead. DTD recently moved their online poker operations from the BOSS Media network to the iPoker Network. Over the coming weeks there will be a plethora of ISPT satellites running on DTD, but at time of writing there are none in the DTD lobby.